* The T55 USB is a great all-around belt drive turntable that also features USB and RCA outputs so you can easily use the deck to transfer the music on your vinyl records onto your PC or Mac to create music files for use with CDs or mp3 players such as iPod. * To make things even simpler, we've included the software you can use to transfer and edit the music files, so you can remove any pops and clicks that are common when playing vinyls. 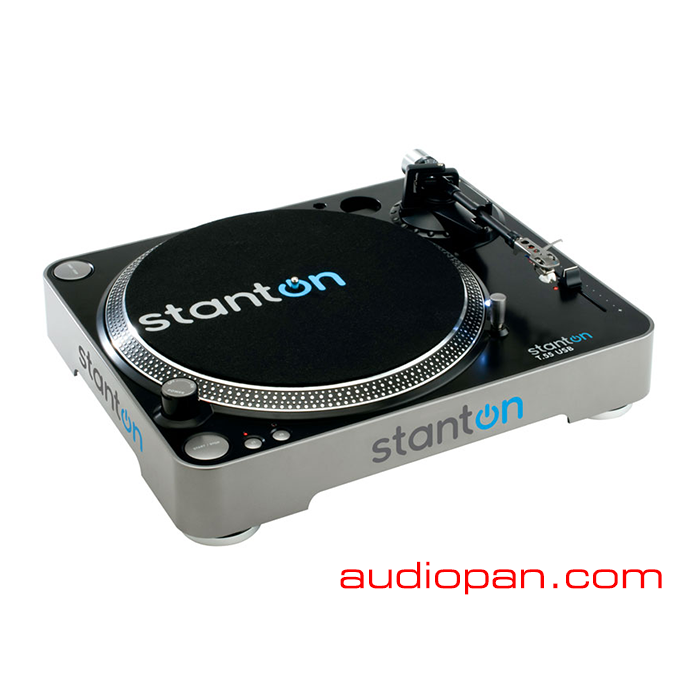 * The T55 USB also comes with the professional Stanton 500.v3 cartridge for ideal sound quality and perfect compatibility. * Not just a tool for vinyl transfer, this deck is also a perfect fit for the novice or intermediate level DJ.